A number of factors are contributing to the high demand for nursing professionals at the graduate level, including the complexity of patient care, a national focus on quality of care, patient safety, and the general shortage of doctorally prepared nursing faculty. At Walden University, we can help you gain the skills and knowledge you need to take on a leadership role in nursing. The DNP program prepares the nurse in various roles, to make decisions based on the evidence provided through assessment of the health care environment. Walden's DNP is accredited by the Commission on Collegiate Nursing Education, CCNE. This accreditation ensures the quality and integrity of the program. DNP coursework covers topics such as health care policy and advocacy, evidence based practice, advanced nursing practice, and organizational and systems leadership. A lot goes into developing coursework from Walden. However, we have the leading industry experts to make it happen. In fact, Dr. Andrea Lindell, our current Associate Dean for the School of Nursing, was a former president of the American Association of Colleges of Nursing, and was critical in helping to establish the National DNP as the degree for the practice arena. What I believe differentiates the DNP program here at Walden School of Nursing is we have really implemented a program that meets the essential standards that are established, and we have the unique feature that we are an online program, and all the involvement by the student in the curriculum, from the didactic classroom to the practicum, are all done via the online distant learning format. I'm excited that I did choose Walden. It's never too late to learn. Here I am, 62 years old, working on my Doctor of Nursing Practice. Take your career to a higher level with a degree from Walden University. 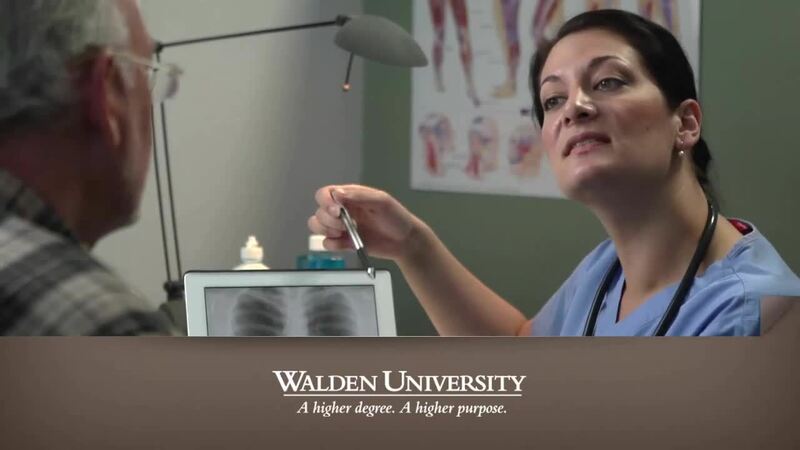 Learn how Walden can help you practice at the highest level of nursing.